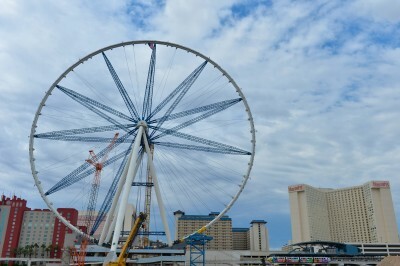 “The High Roller”… Las Vegas’ new “Ferris Wheel” aka the Worlds Largest Observation Wheel… Is almost complete… well the main section of if anyway. 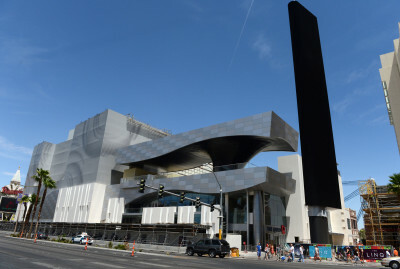 The Linq – Very… Miami-esque isn’t it? 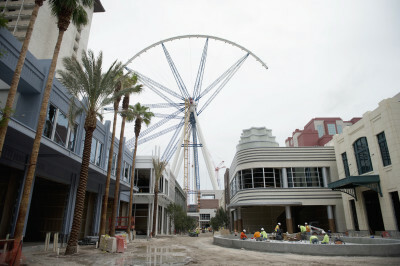 My husband and I are planning to renew our wedding in Sept. 2014, and would love to do it at the new ferriswheel. Can you tell me the anticipated completion date so I can make my wedding plans? Thank you, Ronda Carter. The anticipated completion date is suppose to be February 2014. Do the pods have seating for the 40 passengers or do you have to stand up for the duration of the trip?